*This is the first in a collection of stories I’m looking forward to sharing with you about friendly faces, tasty places, and snazzy businesses from around the world. This is not a sponsored post. After a rejuvenating swim and shower at the local pool in Akureyri, we decided to splurge and treat ourselves to brunch at Cafe Berlin. Fresh smoked salmon, creamy brie, buttery mushrooms, spicy avocado, tangy pineapple…it was pure tastebud bliss after consuming dozens of gas station hot dogs and boxes of Ritz crackers, even if we did share a single plate. To top it off, we drooled over a waffle drizzled with caramel sauce and a side of whipped cream. Mmmm-mmm! Between the refreshing morning swim and the celebratory tastebud dance, you couldn’t wipe the grins off our faces if you tried. Somehow though, the day got better. Belly full and ready to work, I added Cafe Berlin to my travel feed on Instagram (@travelwithtmc). Shortly after, the café’s feed returned the follow. I asked the server we ordered from if he was running the account, to which he responded yes. He turned out to be the café’s owner and a wealth of insight into all things Iceland. Fellow foodie, Sveinn, shared with us his upcoming journey to Sweden to visit a Michelin-star restaurant. Enthusiastically, we swapped binge-worthy Netflix morsels to devour. Over the next couple of hours the cafe emptied. Conversation filled the space, a recipe of Iceland’s history, politics, environment and social landscape. Entertaining anecdotes of people frequenting his café, from the country’s witty finance minister, to a whisky-loving friend (and the reason alcohol is stocked at the cafe) peppered his stories. 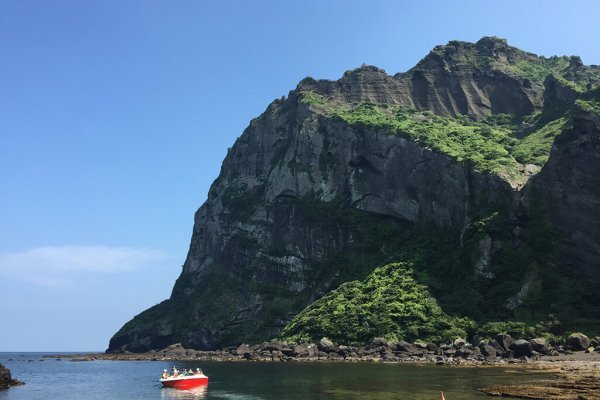 We shared our travel story thus far and the wonder with which we experienced his country. 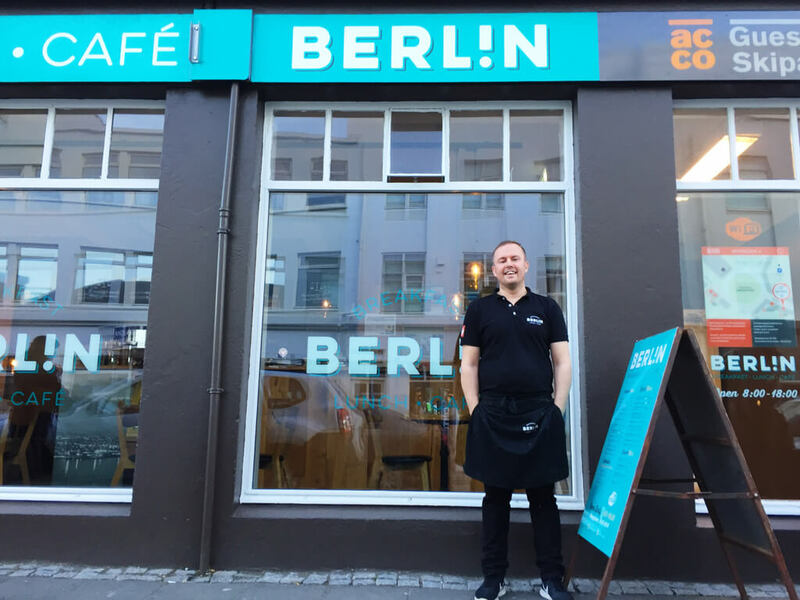 If you’re ever in Iceland and hungry for a treat, be sure to feast on both the food and the gab at Cafe Berlin!